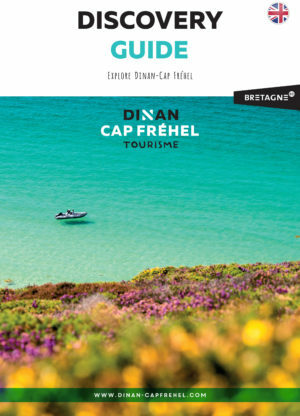 From the edge of the sea to deep inland, following the Rance Valley, the Dinan-Cap Fréhel tourist destination abounds in unexpected treasures and makes for the perfect holiday. Journey back in time in a picture-postcard setting, get close to nature in unspoilt countryside, have a whale of a time in the sea, treat your taste buds to local products, wiggle your toes in the sand, and let yourself be drawn into the festivities. There is no end of choice and you’ll find it hard to leave! With its 400 hectares of heathland, cliffs towering over the sea and bird reserve, Cap Fréhel is a delight for all the senses. Close by stands unique and majestic Fort La Latte, a pink sandstone castle with a panoramic view of the Emerald Coast. Follow the GR34® hiking trail, take in the outstanding views and get a glimpse of our 24 sandy beaches. You’ll be won over in an instant! Plancoët-Arguenon Valley, where nature meets know-how (modernity and innovative companies). Travel back in time from the present day to the Prehistoric era by stopping off in Corseul, the Gallo-Roman capital of the Curiosolites. Take a kayak trip along the river Arguenon and discover the plant and wildlife as you paddle towards the sea. Dinan, a Town of Art and History, has majestically weathered the centuries like a real-life history book. Various period buildings will open their doors and tell their story. The town overlooks the river Rance which has shaped the valley. The Rance starts out as a calm, peaceful and winding river before turning into a maritime estuary. South of Dinan, the Pays de Caulnes et de Du Guesclin has retained its country charm. With its heritage and natural setting, fishing enthusiasts will find the perfect spot (family and discovery fishing trails) along the meandering waters of the river Rance.